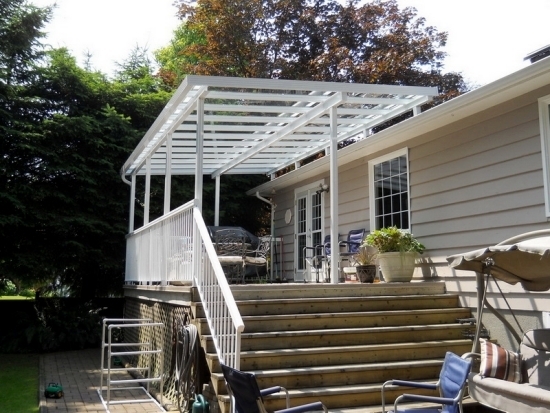 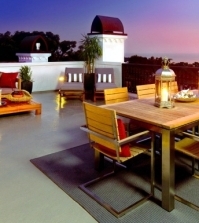 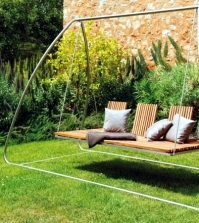 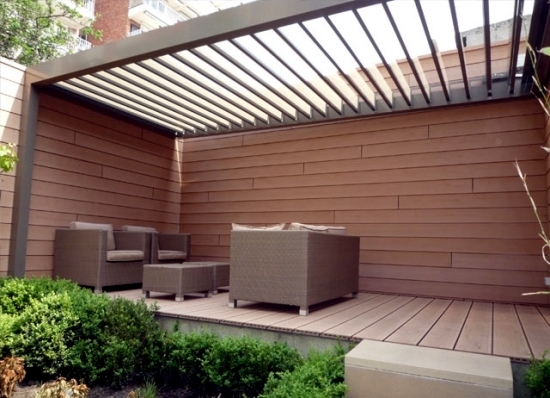 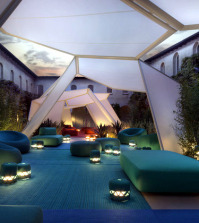 Home > Interior Design > Glass canopy for your terrace – a beautiful idea! 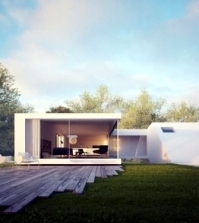 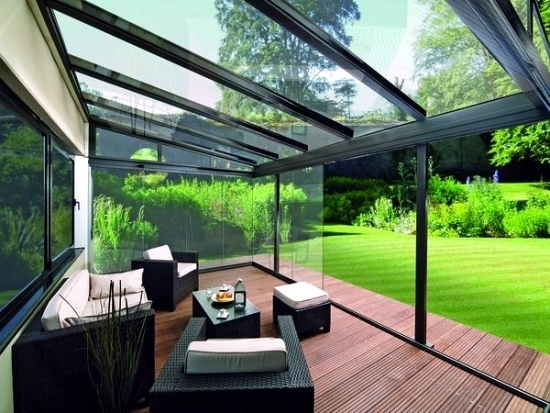 Glass is widely used these days to bring style and luxury to living environments. 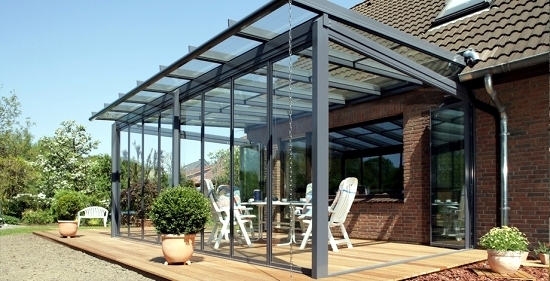 Glass is very popular in structures such as greenhouses, wine cellars, stairs and and of course, to make a roof for a lovely outdoor terrace. 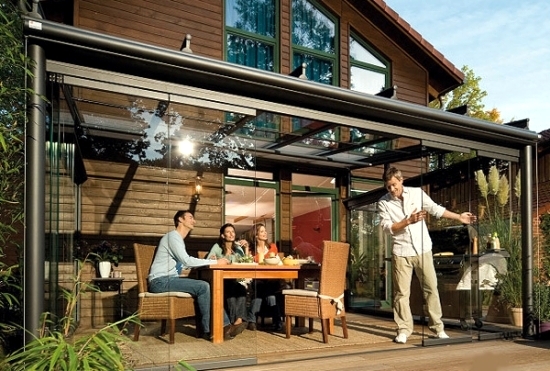 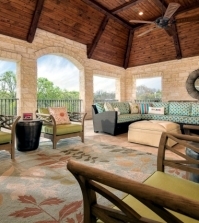 A glass patio roof allows you to make the most of your outdoor space all year around. 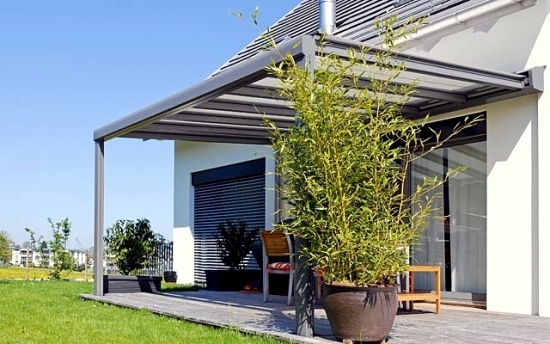 It provides protection against the sun, rain and wind. 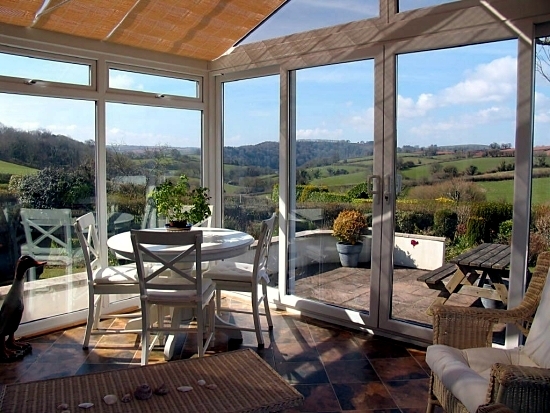 What are some of the other advantages of a panoramic glass terrace? 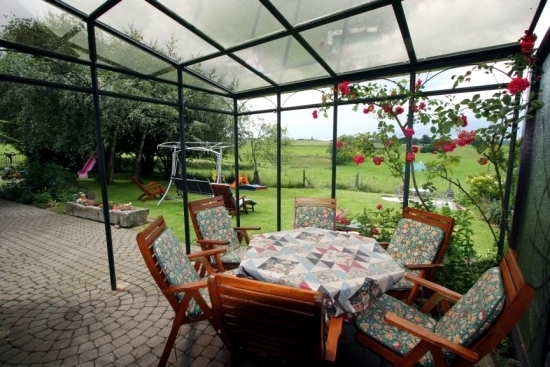 Let's have a look in these pictures! 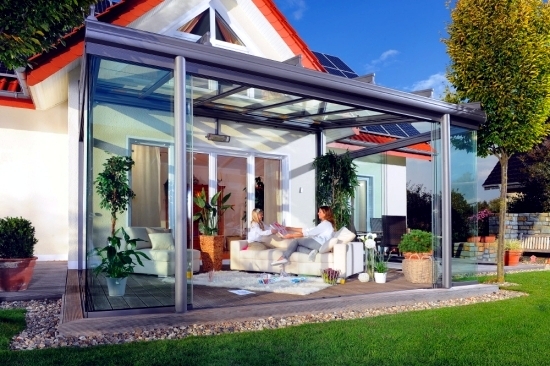 A glass roof for the terrace is not very complicated to build. 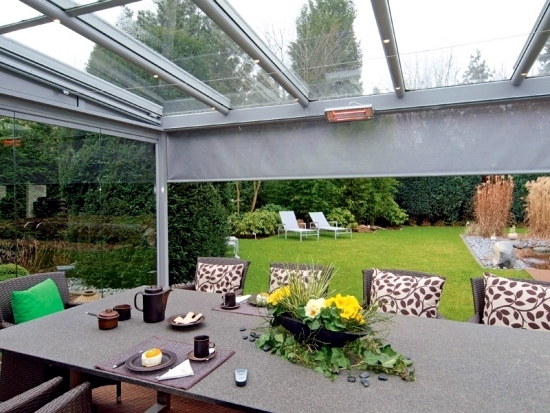 It requires flat glass, aluminum and plastic to secure the glass in place. 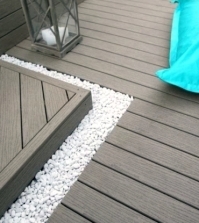 You are of course better off getting a professional to fit it for you but the installation should not take more than one day. 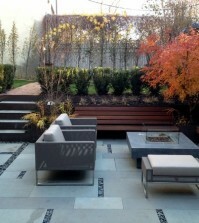 The shape of the glass depends on your preferences but good drainage always needs to be prioritized. 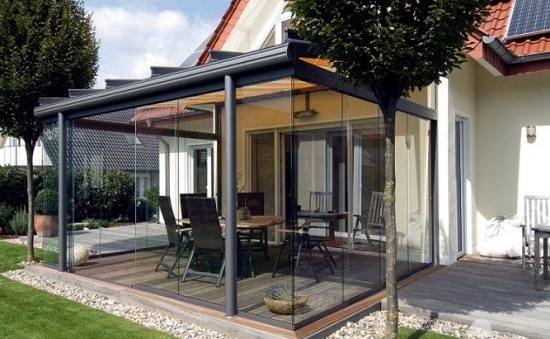 A glass roof for the terrace has several advantages over other conventional terrace roof designs since it allows sunlight to flood the interiors. 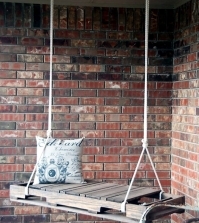 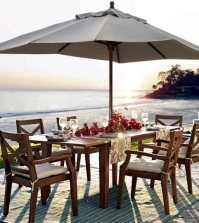 Your terrace will be warmer and more welcoming, especially on bright days. 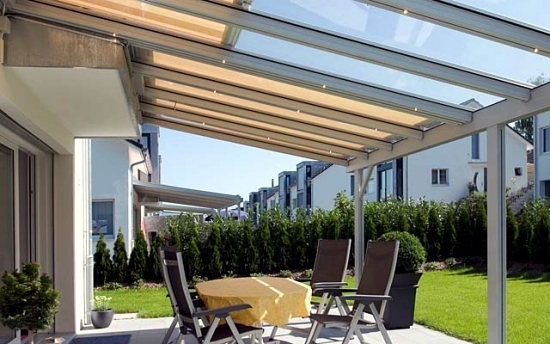 In summer you will love the freedom of being close to the outside air and this design means you essentially get an extra room in your house. 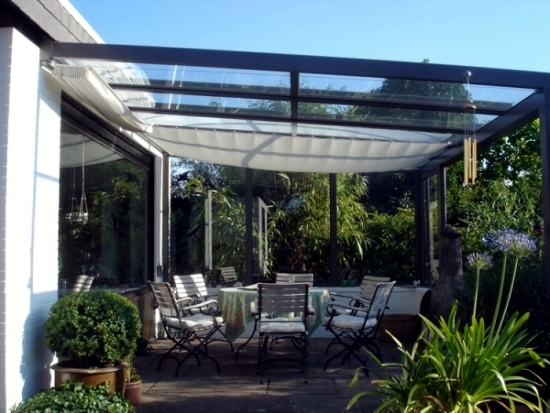 A glass roof is a good solution for the garden and the terrace. 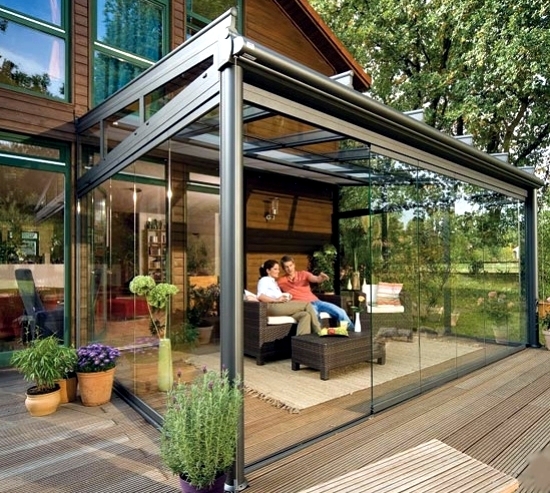 Glass gives you a bright and spacious room. 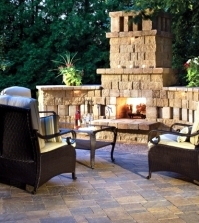 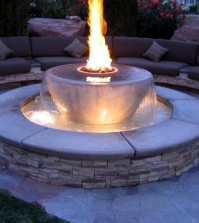 In either good or bad weather you can spend pleasant hours outdoors without feeling isolated from the environment. 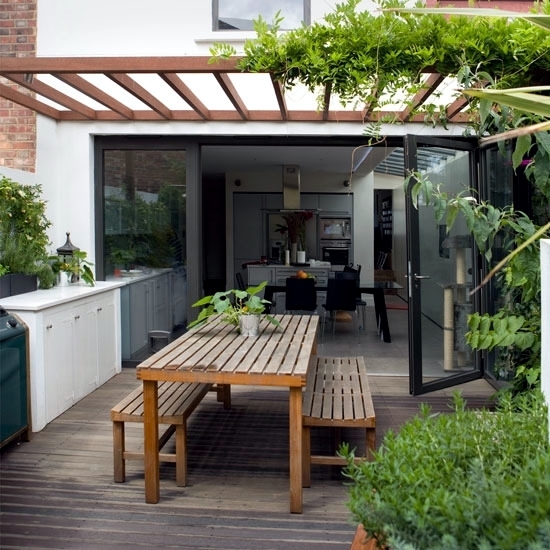 A sliding door can take you straight from your home environment to being in the middle of your garden, whatever the weather. 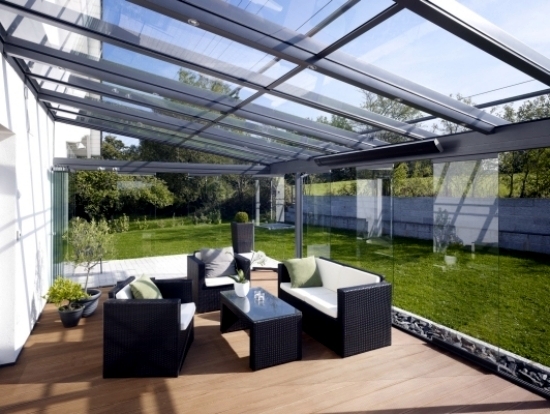 A selection of plants and furniture will set your glass roof terrace off to full effect. 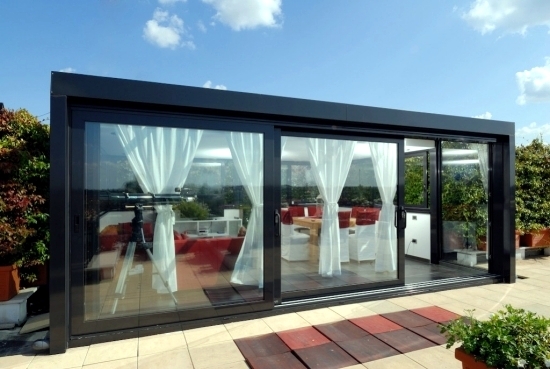 Loooking for glass cover for open roof top entertainment area.